If you are a resident of London, you must be aware of the fact that you should know how to drive. And if you are planning to change your career path towards professional driving, the best place to get it done with is from Dhoot Driving School in Central London. This institute is best known for the great quality driving training programs that you can undergo in front of the watchful eyes of the expert trainers. The course materials that are designed by us at Dhoot Driving School are such that they are perfectly tailor made for all kinds of individuals no matter which class they belong and what background they have. LGV/HGV training: when you wish to drive the large goods vehicle or the heavy goods vehicle, you must undergo an extensive training in this training schedule. Depending on the weight specifications of your vehicle, there are some categories for you to choose from like C, C1, C+E and C1+E, B+E car and trailer training etc. PCV training: this training schedule is meant for the passenger carrying vehicles and depends on the number of passengers on the vehicle. The categories in this training program include the D, D1, D+E, and D1+E, D1-Minibus and D automatic bus. Amongst these categories, the last two categories are meant for the manually driven vehicles only. The driver CPC training: this training is now considered as a mandatory requirement for all the LGV and the HGV drivers before they hit the road with their individual vehicles. Ever since 2009, this rule has come into effect that you have to pass the driver CPC theory test along with the different driver CPC modules. For this certification course, you have to undergo an extensive training for a period of 35 hours within 5 years. You can use help from the driver CPC case studies and some specific modules like the driver CPC modules 4 and 2 in this regard. 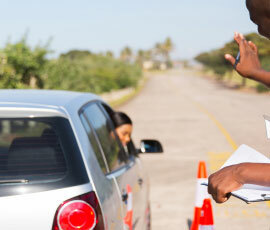 When you join us at Dhoot Driving School in central London, you are entitled for some special services and benefits. For instance, all our course materials are available in different languages apart from English. The theory books, the classroom coaching and also all other training related information and instructions are available in different languages other than English. Thus language is never a barrier for your learning. If you are not comfortable in following instructions in English, you can certainly choose your preferred language. The trainers associated with us are also multi lingual and they are also registered and approved by the driving standards agency. Thus when you join us, you are in the right hands as far as the professional driving training is concerned. All the training vehicles that we use are also equipped with the latest features like the dual access controls. These features are such that there is absolutely no chance for any kind of road accidents and mishaps while the process of training is underway. Of course it is also worth mentioning that driving a vehicle means not only that you have to keep your eyes and mind open and alert, you also have to keep a tab on the traffic rules and follow them strictly. 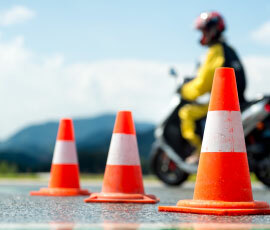 The traffic rules are in place in order to provide complete safety to you and all other people on the road. Thus when you are out there looking for a professional driving license, two factors that are looked into are the age of the applicant and whether the vehicle you plan to drive is a legal and a safe one for the roads. When you enroll with us at Dhoot Driving School in Central London, you can avail some special services like the pass protection and also the PCV pass protection. These services are such that they enable you to reappear for the driving tests in case you fail to clear them in a single attempt. Besides we also provide complete assistance in filling up the medical form and the provisional entitlement form that are needed for furnishing along with the application for a valid driving license. We also take care in sending the completed forms to the concerned department of DVLA on your behalf. We also provide a refund of your money in case you are not completely satisfied with the training program, and what to change it in the middle way. There are many other great services available with us and you must visit us once to know more about them at Dhoot Driving School in Central London.